The United Nations Food and Agriculture Organization (FAO) estimates that six billion people around the globe consume milk and milk products. In the past 50 years, dairy consumption in developing nations has nearly doubled, driven by rising incomes, population growth, increased dairy applications, and shifts in diet. Looking forward, global dairy consumption is expected to grow more than 5% annually between 2015 and 2022. 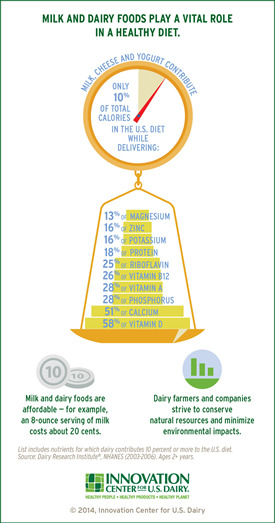 Milk, yogurt, cheese, whey and other dairy products are an affordable, convenient, nutrient-rich source of protein, valuable from infancy to old age. Milk and dairy foods have a wide range of key nutritional qualities, including vitamins, minerals, essential amino acids, and complete protein. 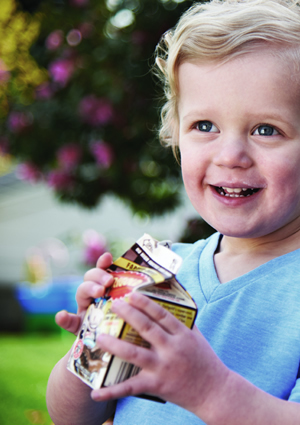 Those who participate in our dairy supply chain feel proud to play a role in providing vital nutrition and promoting health and well-being for families in our neighborhoods and around the world. Darigold’s products inherently have substantial nutritional value, but we continue to develop product formulations to boost health and nutrition even further. 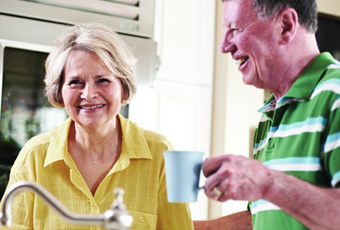 People are increasingly wanting simpler ingredients and we are adjusting our products to meet these consumer demands. 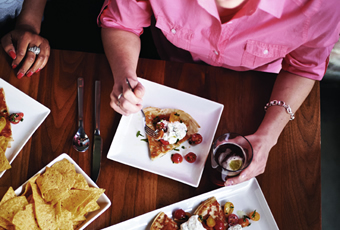 For example, our sour cream is made only with cultured milk, cream and enzymes. 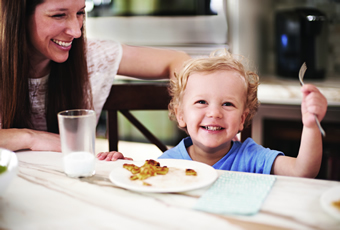 And our Lactose Free milk addresses the rise of lactose intolerance, allowing more people to consume dairy. 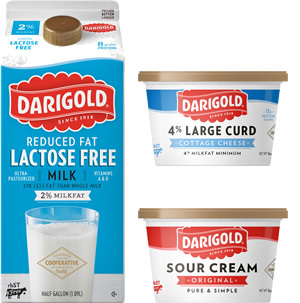 Darigold worked closely over three years with key global customers to meet specifications for whole milk powder. In 2013, this effort resulted in Darigold upgrading the Chehalis plant’s milk powder filling system, replacing oxygen in bags with nitrogen. This change extends shelf life and enables us to market whole milk powder in China and other export markets, as well as to U.S. companies. Darigold is continuing to invest time and resources in developing a portfolio of innovative new products and packaging aimed at meeting the needs of tomorrow’s customers. In addition to basic health and wellness, Darigold offers products specifically aimed at improving athletic performance and recovery. RE:FUEL, Darigold’s lactose free chocolate performance enhancement and recovery product, started with chocolate milk. We added protein, vitamins, minerals and antioxidants. RE:FUEL has a specially formulated 3-to-1 ratio of carbohydrate to protein designed to improve performance and muscle recovery after exercise. 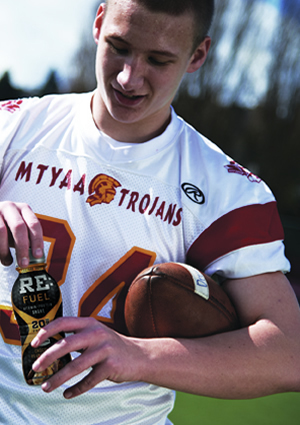 RE:FUEL helps the body to repair damaged muscle tissue, has no artificial sweeteners, and is lowfat and ultra-pasteurized for long shelf life. Chocolate RE:FUEL was launched in June 2010. 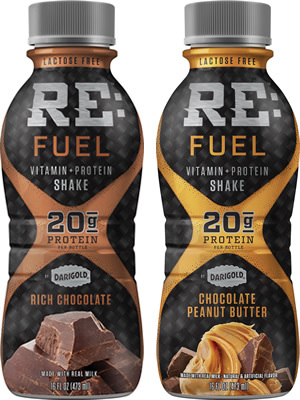 In November 2010, Darigold introduced Chocolate Peanut Butter RE:FUEL. Both have 20 grams of protein in a 16-ounce serving. 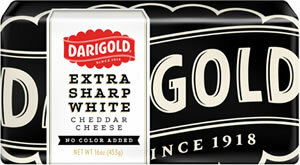 Darigold has undertaken additional activities to encourage healthy eating. For example, we participate in the Washington State School Nutrition Conference and are involved with food banks in many communities. Darigold has continued to support the 10-year partnership with Pacific Science Center’s Professor Wellbody’s Academy of Health & Wellness’s engaging and participative exhibit to promote lifelong health through balancing exercise, diet, proper rest and hygiene started in 2010. Your milk isn’t orange, so why is your cheese? 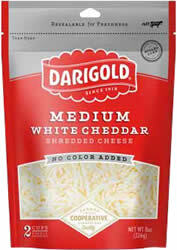 In September 2015, after two years of testing recipes, Darigold launched our new naturally white cheddar cheese line. 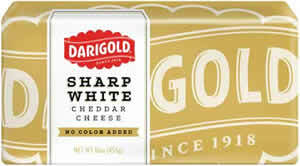 The goal was to create a premium cheddar cheese that’s better tasting with no added color as Darigold’s entry into the retail cheese market. It had to melt, shred and slice. The milled curd process involving cutting, turning and pressing before being formed into blocks results in a cheese with more protein and less water than bulk cheddar cheese. 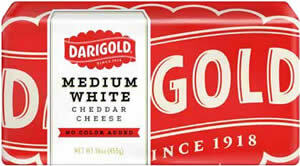 Over 20,000 samples of Darigold’s new white cheddar were handed out in a fun campaign following the launch.